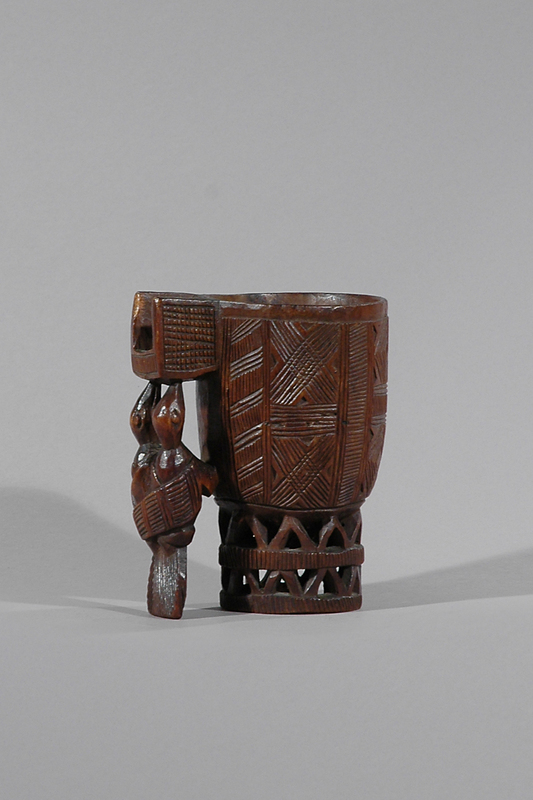 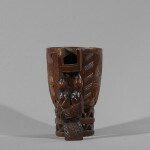 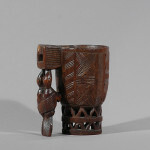 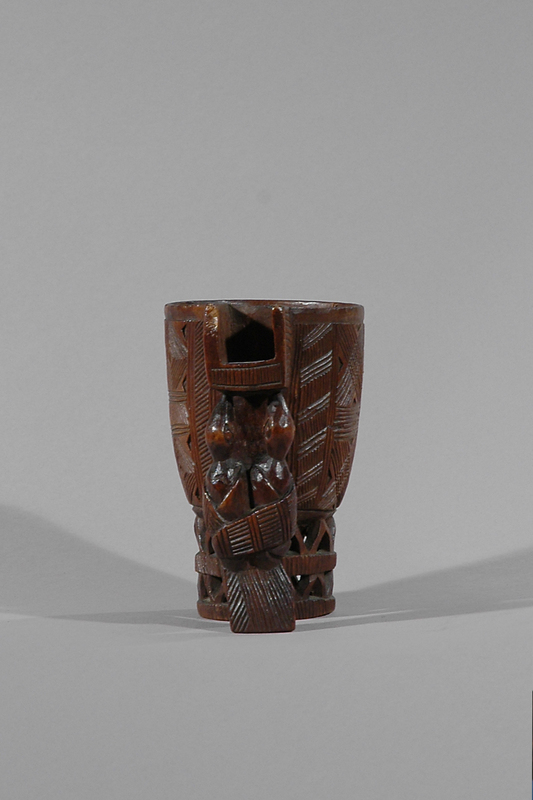 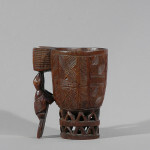 This palm wine drinking cup is a perfect example of the masterful artistry of the Kuba woodcarvers. 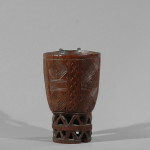 The sculptor has delicately balanced abstract and naturalistic forms. 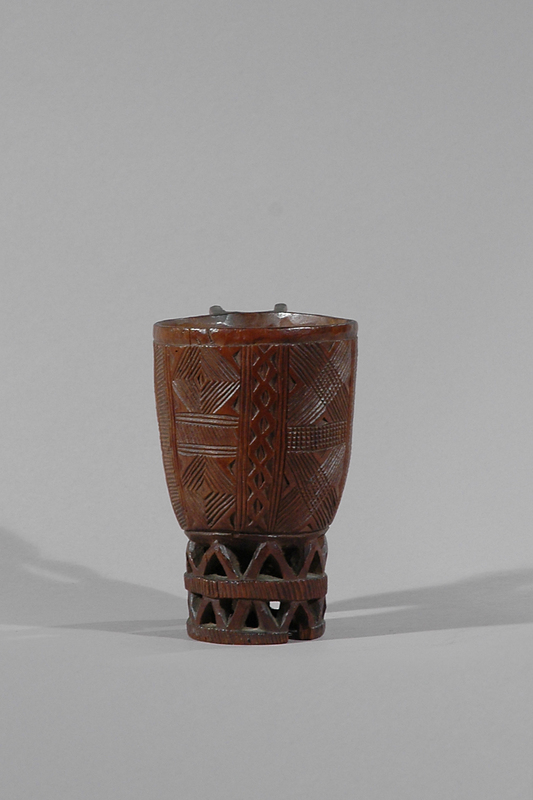 The art of the Kuba is one of the most highly developed of all African traditions, and significant cultural accomplishments are part of their heritage. 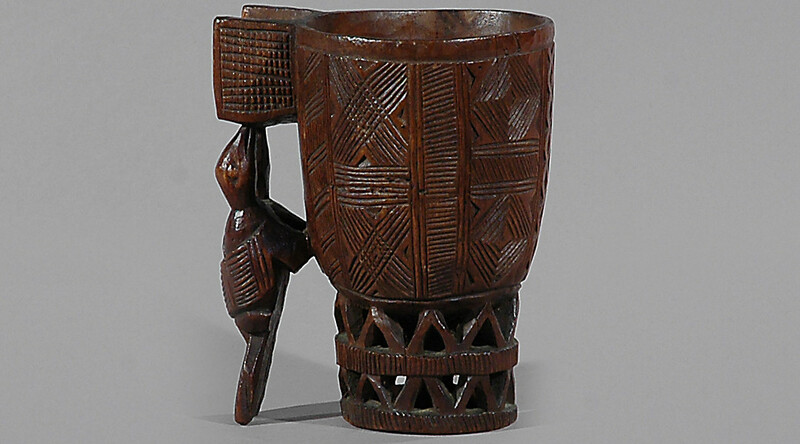 The Kuba love of form, knowledge of materials, skill in execution, and appreciation of quality are best seen in the number and variety of cups and goblets, mostly for drinking palm wine. 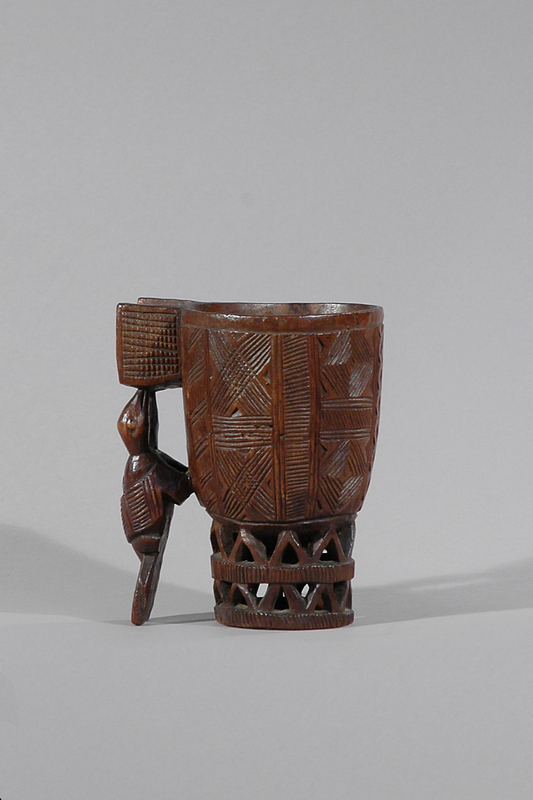 There are reports – not confirmed – that these cups might have been used in the poison ordeal.